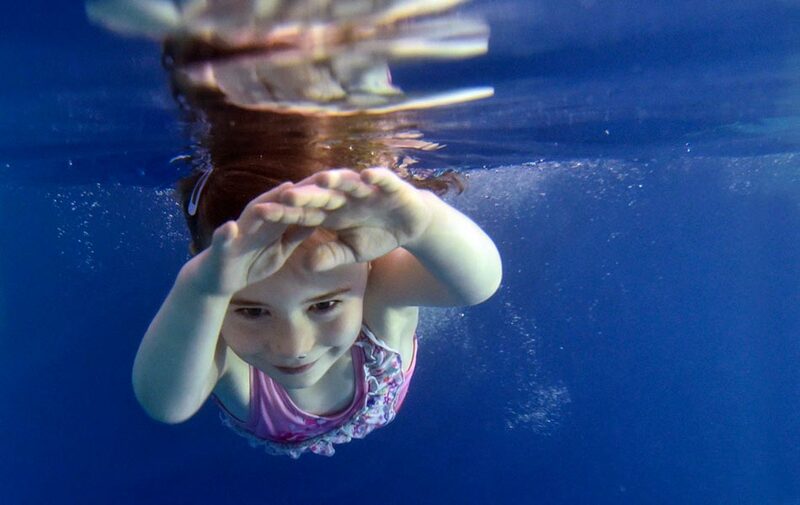 When booking your child into swimming lessons with SwimWay, you are able to view all the spaces we currently have available on our website before contacting us. By visiting the "Availability, Prices & Dates" section of our website, you can select the relevant course, then location, then when on the venue page, scroll down and click on "availability - term time" or "availability - holidays". The information below is for children’s lessons, ages 2-9 years. If you would like to learn more about booking for parent and baby lessons, read our handy guide here. When booking your child into swimming lessons with SwimWay, you are able to view all the spaces we currently have available on our website before contacting us. By visiting the “Availability, Prices & Dates” section of our website, you can select the relevant course, then location, then when on the venue page, scroll down and click on either the Term-Time or Holiday “Click Here For All Info” or button. These are extremely important to keep an eye on when sourcing your spaces, as if you choose the wrong time for your child’s age/ability, you will inevitably delay your booking and perhaps even miss out on your preferred space. The first is a Tuesday 14:30 slot with instructor Alejandro at Balham. Listed as “OPEN SPACE” for ages 2-9 years because there isn’t a child currently booked in the slot yet. Some locations have limitations of how many children can swim every half hour, so if you a see it listed as “1:1 lesson only”, then we cannot offer a 1:2 lesson. The second space is a Tuesday 15:30 slot with instructor Jay at Balham. Listed as “working toward stage 01”, for ages 3.5 – 4.5 years. As per the final column, this is a 1:2 lesson that has a child already booked in, who is looking for a partner. The child in this class has attained beginner 2 in the past, and is working on passing stage 01. From the age guide, you can tell that the child is likely around 4 years old. The third space is a Tuesday 16:00 slot with instructor Jay at Balham. Again, this is listed as an “OPEN SPACE” for ages 2-9 years because there isn’t a child currently booked in the slot yet. However, different from the first example, this one is listed as “available as a 1:1 or a 1:2 lesson”. This means you can either book one child privately, or two children as 1:2. If you only have one child, but would still like to book the space as a 1:2 lesson, this is possible too, as there are no restrictions listed, and we will try to source a partner for you. The fourth space is a Tuesday 17:00 space with instructor Alejandro at Balham. Again, you can see that there is no child currently booked in this slot as it is listed as an “OPEN SPACE” for ages 2-9 years. However, this time you can see the class type is “available as a 1:1 or a 1:2 lesson if you have a partner”. This is because some of our locations we do not source partners for 1:2 lessons, so you will need to provide your own partner if you want to book 1:2. Alternatively, it may be at a point in the term where demand has decreased, and we know we will not be able to source a partner for the class, so you will have to provide your own, or book as a 1:1 lesson. Additionally, the columns that are highlighted in blue and underlined are hyperlinks that will take you to a page on our website where you can view more information about the venue, the instructor and the stage. If you are unsure of your child’s stage, we have a helpful “Find Your Stage” questionnaire you can go through to ascertain the best class for your child. It is extremely important to never overestimate your child’s abilities. If you see a spot for a stage/age that you know isn’t suitable for your child, please do not request it and provide inaccurate information about your child’s level. It will only lead to a mismatch in the class, and you losing your space at a later date when alternative availability is scarce. Has he/she had lessons before? If yes, was he/she given any badges/awards/levels? Is he/she confident/comfortable in the water? Does he/she swim with attachable floatation aids (armbands, etc.)? Can he/she put his/her head underwater and blow bubbles? Is he/she able to float unassisted on the back and/or front? How many seconds? If he/she is swimming on the back/front, is it with arms, or just kicking? If just kicking, how many metres on the back/front? If with arms, how many metres full backstroke? If he/she is swimming front crawl, is the breathing to the front or to the side? Both sides, or just one side? How many metres front crawl? If he/she is swimming breaststroke, is it the full stroke with arms & legs together, or separately? Has he/she started learning butterfly? If so, is it just at an introductory (basic undulation movement), intermediate (kicking & arms separate) or full stroke?